Weld Company consists of dancers and choreographers from different generations and contexts that together immerse themselves in various choreographic methods and the issues surrounding the collective and the common. Weld Company has since 2013, invited Swedish and International choreographers to create choreographic works under the set rule “No Talking No Props”. Phoenix premiered at Dansens Hus våren 2016. 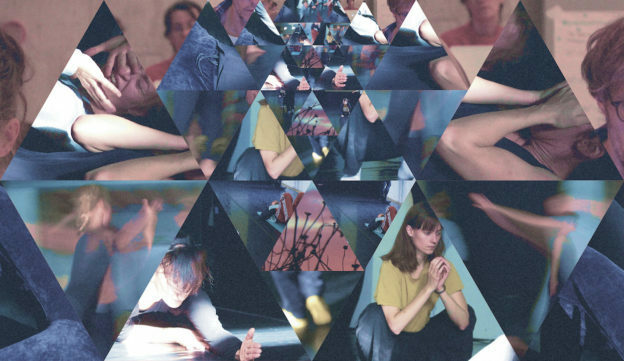 Rebecka Stillman has the last fifteen years engaged in many different choreographic projects. Sometimes as the initiator, sometimes as collaborator and sometimes as a dancer. In parallel, she has also continued to educate herself, at the Royal Swedish Ballet School, SEAD (Salzburg), Södertörn University, Stockholm University and the Master’s program in choreography at School of Dance and Cirkus in Stockholm. Choreography: Rebecka Stillman with Caroline Byström, Robin Dingemans, Sybrig Dokter, Marie Fahlin, Pavle Heidler, Noah Hellwig, Elias Girod, Disa Krosness, Josefine Larson Olin, Sandra Lolax, Robert Malmborg, Per Sacklén, Kajsa Sandström, Hanna Strandberg, Andrea Svensson, Anna Westberg. On stage: Caroline Byström, Elias Girod, Sybrig Dokter, Robin Dingemans, Noah Hellwig, Disa Krosness, Marie Fahlin, Sandra Lolax, Robert Malmborg, Per Sacklén, Anna Westberg, Andrea Svensson, Hanna Strandberg.